Apricity OS Linux distribution has finally received its first stable release as Apricity OS 07.2016. This OS does its best to keep things not just simple but also clean. This release, dubbed “Aspen”, is currently available in two flavors namely Cinnamon and GNOME desktop environment. 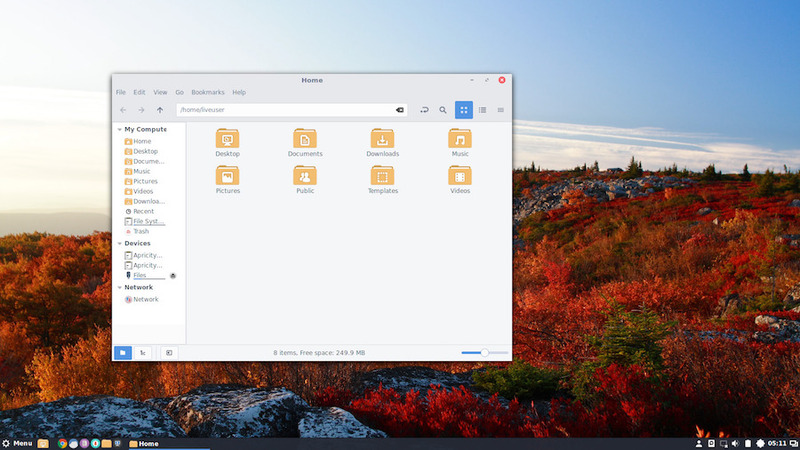 Apricity OS is based on Arch Linux just like another user-friendly Linux distro Manjaro. And unlike Arch, Apricity has been designed provide a pleasant desktop experience, especially for Linux beginners. The OS comes with a simple GUI installer for ease and because it is built to provide an out-of-the-box experience, it comes with pre-installed drivers along with a variety of applications. Unlike many other traditional Linux distros, Apricity has close ties with cloud computing, coming with apps like ICE to develop site-specific browsers, and Syncthing to allow for effortless file sharing tasks. Freezedry is another cool feature of Apricity OS. It is an online method by which you can create your customized version of Apricity OS and make it available for download. Users will be at liberty to customize different aspects of the OS including desktop environment settings, installed packages, systemd services during startup, system themes, etc. The Apricity OS team has also worked on their new website on which you can find helpful documentation, a blog, and an online forum. If you are ready to try Apricity OS, go ahead and grab the torrent and ISO files here.